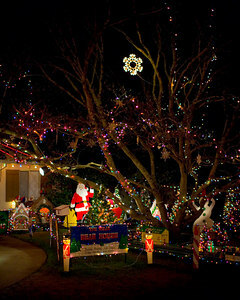 The Nisja Bear House is one of the serveral houses in our neighborhood which is very elaborately decorated for Christmas each year. 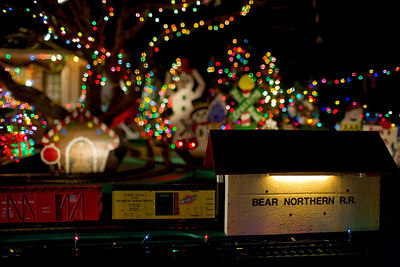 Aside from the bears, the Bear House features a very nice model railroad. 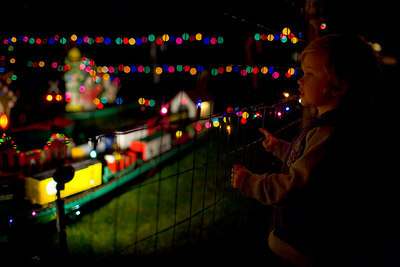 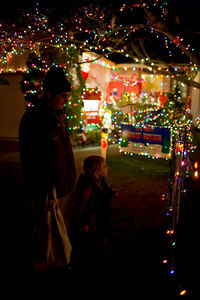 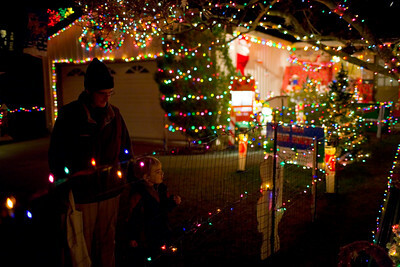 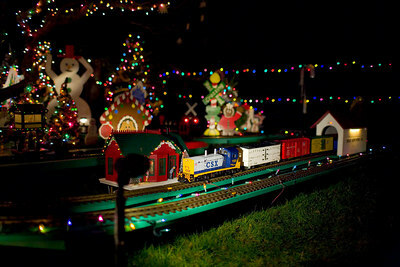 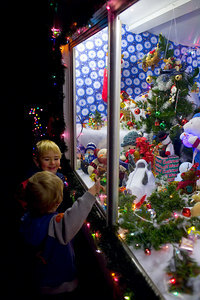 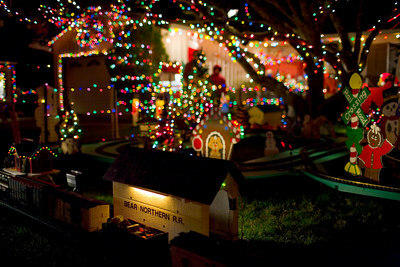 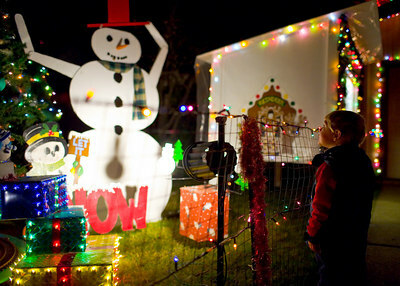 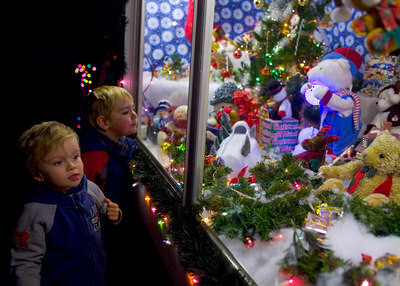 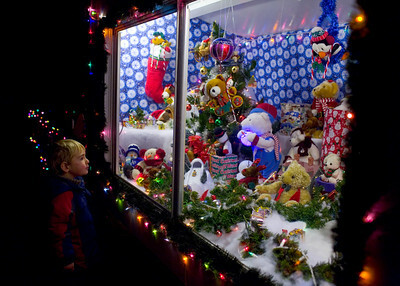 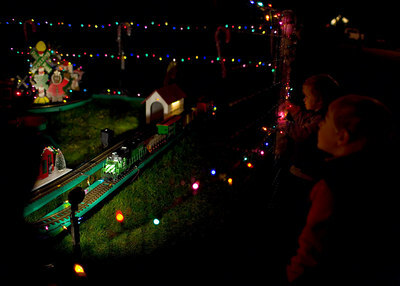 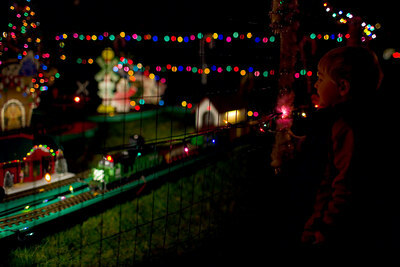 The Nisja Bear House is elaborately decorated with lights and a model train each year for Christmas.